We made a little jaunt up to Portland, Maine this last week to check the "been to Maine" box and we most certainly will return! It was a such a relaxing and beautiful place, with a gorgeous coast line of rocky beaches, quaint little light houses, fantastic food, and so many one-of-a-kind boutiques and antique shops! Portland is truly the perfect get-away spot for an affordable honeymoon, a romantic B&B weekend, or even a laid-back trip with the kids. Put it on your bucket list for sure, y'all! Near Two Lights State Park, just off "Two Lights Road" in Cape Elizabeth, there is a pretty slate bluff that has (you guessed it!) two lighthouses, a grand view of the ocean, and a cute little Lobster Shack restaurant. Well-tended grounds of the Lobster Shack. The sweetest, most quintessential, north-eastern antique shop owned and operated by Per (pronounced "pear"). I wanted to take everything home with me...but came down to just two items. I'll share them with you soon! We had some fantastic Mexican food (of all foods...) in Portland! El Rayo Taqueria has a large patio to sit outdoors and enjoy some al fresco dining and drinks. They had a kids' menu too! Holy Guacamole...it was super yummy! The Margs were amazing. On of the many joys of eating early with a toddler...you always hit up happy hour! And, they even have fun bean bag tosses and kid tables for the wee ones. (Did I mention that the patio was also (conveniently) contained for those tiny tots that tend to bolt off? Ok, so you simply can't visit Maine without having a Lobster Roll. Because I don't care for seafood - crazy, I know - my husband took one for the team and got a delicious Lobster Melt at Andy's Old Port Pub. I had a patty melt that was just as delicious! Portland's Down East Duck Tour - only 1 hour long - is a great way to see the whole city and get a solid historical overview of the city and state at-large. It travels on the streets then takes you into the harbor for a quick dip. The views of Portland's harbor beckon you to sit back and relax. This new home-wares boutique - Anniebells - was filled to the brim with pretty white washed furniture, John Derian plates, garden supplies, beautifully textured pottery, and fine linens. Doesn't Anniebells make you want to pull up a chair and call it home?!? Gorgeous Victorian mansions up on the hill along the Eastern Promenade. I'm not surprised that George Bush Sr. and Barbara call Maine thier (summer) home. Sign me up for retirement! 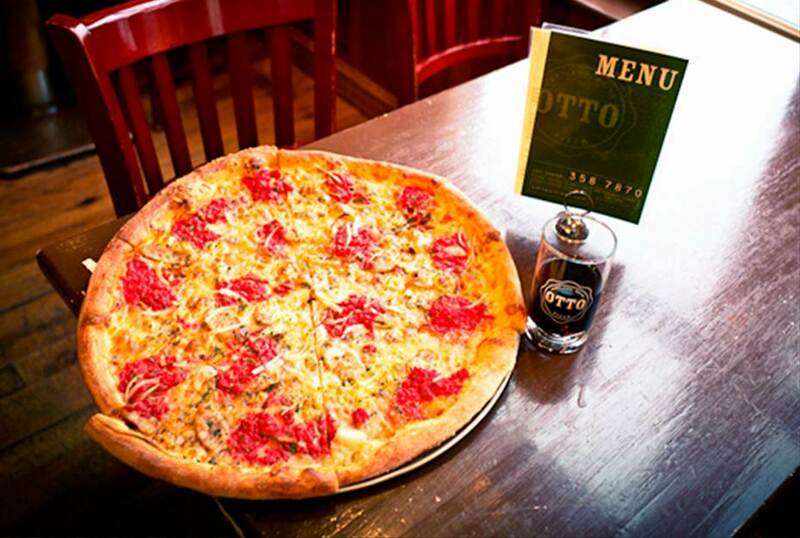 The best pizza I've EVER eaten was found here at Otto Pizza. 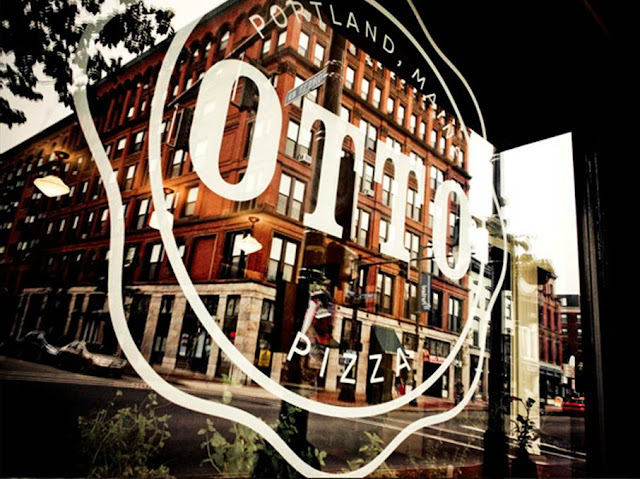 They have two locations in Portland and two in Cambridge, MA (by us!). It's a good thing, because it was going to be a long drive to Maine to get pizza! Very thin crust, a not-too-sweet sauce, and decadent cheeses. Must try their mushroom, ricotta, and herb pizza - simply delectable! The most photographed light house in the continental US, the Portland Head Light, was commissioned by George Washington in 1787. It's been a beacon of safety (and beauty) since it was completed in 1791. Portland Head Light sits in a beautiful park immaculately maintained by the town of Cape Elizabeth, which elects to keep the park free for visitors. There is a fee to go in the museum, which sits in the building that surrounds the light house. They have great photo spots all over the park! Now you want to go, huh? The best part of the year to visit Maine is the late Summer for the fantastic weather, or Fall for the colorful foliage. Most of the attractions close down for portions of the winter (i.e. Jan-Mar). Let me know if you have any questions about where to stay or if you want details on the highlights of our trip. I'm glad you and your family enjoyed our beautiful city. There is so much more to see in Maine so come back a time or two to visit some of our sleepy towns and picture perfect shores. Come back to"Maine, the way life should be "